This article describes the architecture and configuration of the XTRIEVAL (eXtensible reTRIeval and EVALuation) framework. A first prototype is described in . For CLEF 2007 a second prototype was implemented which was focused on the cross-language aspect. Runs for all subtasks of the Domain-Specific track were submitted. The performance of our submitted runs was on average compared to other participating groups. 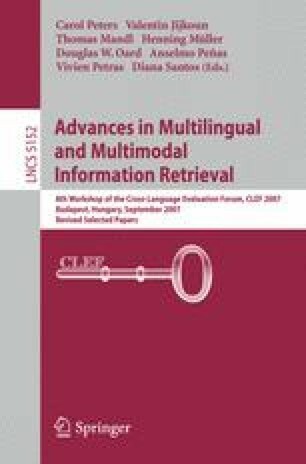 Additional experiments on the Multilingual task demonstrated substantial improvement.